I thought I should add our little bean's first picture. 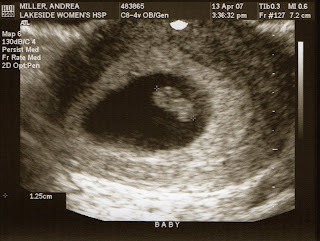 Here he/she is at 7 weeks, 4 days. This was our first doctor's appointment and our first chance to see the little heart just chugging away. Amazing! Belly, belly and more belly!